KCR Vs Gaddar - KTR Vs Vimalakka! Opposition Parties have formed Mahakutami to offer a stiff competition to TRS. On the other hand, CPM and Bahujana Left Front (BLF) have been working with the sole aim of ending TRS rule. While TRS is busy settling Ticket wars within the party, Political Opponents have been focussing on identifying the strong candidates. 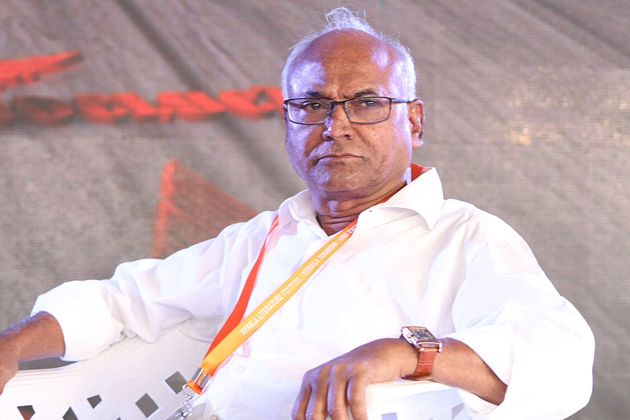 T-MASS Chairman Kancha Ilaiah is planning to field Gaddar against KCR and Vimalakka against KTR as Independents in the upcoming Assembly Elections. 'Gaddar and Vimalakka made many sacrifices for the formation of Telangana State. Compared to them, KCR has done nothing. KTR has been trying to get hold of power using his Father's name. Ambedkar & Phule Organisations, People's Organisations, Poets, Artistes and Public should extend their support to Gaddar and Vimalakka. Mahakutami shouldn't field its candidate in these two constituencies. Already, CPM and Bahujana Left Front (BLF) extended their support. T-MASS was formed to achieve Social Justice. We have unveiled the Manifesto already. BLF agreed to allot seats as per population ratio. Other parties need to make their stand clear on this aspect,' he said.